Enhance the look of your B9 with a reduced fender well gap while also lowering the vehicle center of gravity and reducing body roll for better handling. 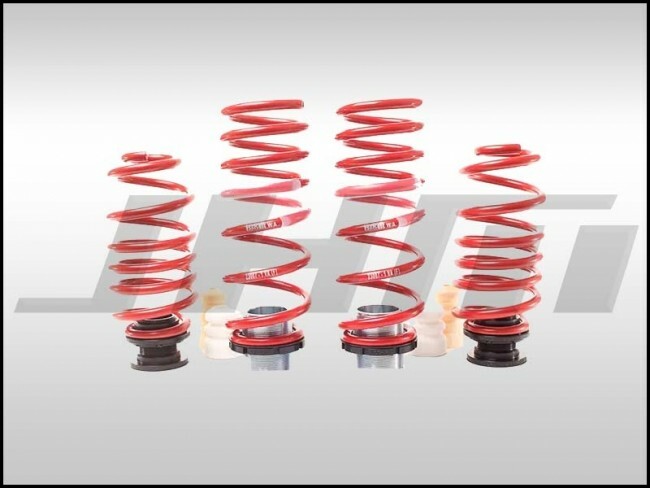 Designed to work with Original Equipment electronic shocks, the H&R VTF Adjustable Lowering Springs are specialized H&R Sport Springs packaged with precision adjustment collars and spring perches designed to lower vehicles without compromising ride quality and comfort. For a personalized stance, the spring perches can be adjusted down to the micro millimeter with an average lowering range of 0.30"-2.7". 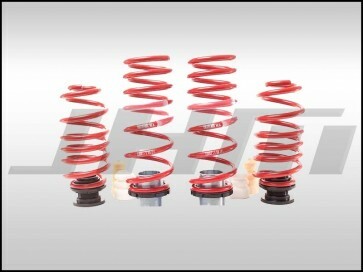 Manufactured in Germany, H&R VTF Adjustable Lowering Springs are crafted for strength, resiliency and durability. The components are developed using lightweight, high-tensile strength spring alloy and are designed to reduce body roll and offer more balance and control. This kit is TUV-approved and features a limited lifetime warranty. Average lowering range of 0.30"-2.7"